Everyone needs to read this book. The observations were made in a pre-internet era, and they’re 10x as relevant today. Nothing will do more to help cure your information addiction that the healthy dose of reality provided in these pages. Adding visual context to meaningless information gives it the illusion of relevancy, but the image does nothing to make it valuable. Ilyx example. It’s still trivia for cocktail parties. Questions about how television shapes our culture have disappeared as television has become our culture. We rarely talk about television, rather what is ontelevision. Television has even influenced other media. USA Today is modeled on the television style, short stories that are highly visual, put in street receptacles that look like television sets. A student’s freedom to read is not seriously impacted by someone burning a book on Long Island. But television does impair our ability to read, by shortening our attention spans and accomodating us to constant entertainment. Television doesn’t burn books, it displaces them. According to Cicero the goal of education was to free the student from the “tyranny of the present,” give them a greater historical context. But television aims to accomodate us to the present. 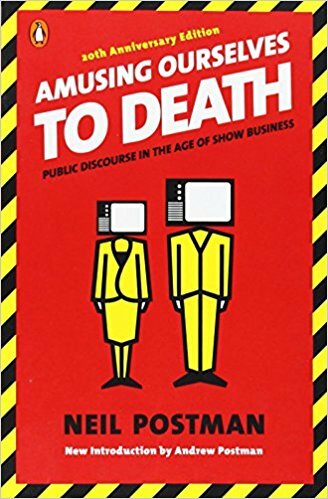 Only through a deep and unfailing awareness of the structure and effects of information, through demystifying meda, is there any hope of gaining some measure of control over television, the computer, or any other medium.